Let me start with a question: when was the last time you had South African wine? You can take a few minutes to ponder at it – but I would bet that if you are a wine consumer in the USA, there is a very good chance that the answer will be “hmmm, never”. But if “never” or “many years ago” is your answer, we need to change that. The winemaking history in South Africa goes back to the 17th century, when immigrants from Europe brought the vine cuttings with them, as they’ve done in all other places. South African wine story somewhat resembles most of the Europe, as it also includes the phylloxera epidemic and replanting of the vineyards. Unfortunately for South African winemakers and the rest of us, the wine story of South Africa also had heavy political influence, with apartheid, KWV monopoly, and resulting boycott from most of the countries for the majority of the 20th century (here is an article on Wikipedia if you want to learn more). The new chapter for South African wines opened up in the 1990s, with the end of apartheid and subsequent changes in all areas of life, winemaking included. In the past, South Africa was best known for its Chenin Blanc wines, which was also called Steen. Another grape South Africa was famous for was Pinotage – dinking of the Pinotage wines was likened by some wine critics to the drinking of the “liquified rusty nails”. On much brighter note, while talking about the past, I want to mention Klein Constantia Vin de Constance – the nectar of gods (don’t take my word for it – find it and try it), made from Muscat de Frontignan grapes and favorite wine of the French emperor Napoleon Bonaparte, who was buying it by the barrel (legend has it that it was Napoleon’s deathbed wish wine). Today South Africa offers lots more than a typical wine consumer would expect. The South African wines are often described as “old world wines masquerading as new world wines”, and this is perfectly showing in the wide range of the wines. You really need to try for yourself South African Chardonnay, Sauvignon Blanc, Pinot Noir, Cabernet Sauvignon, Merlot, Shiraz, and don’t skip the Chenin Blanc, especially if it is an FMC by Ken Forrester. You shouldn’t skip even Pinotage, as it dramatically evolved compared to the old days. The old world winemaking foundation really shows through many of the South African wines today, and they are always ready to surprise a curious wine drinker. Case in point – our recent virtual tasting on Snooth. We had an opportunity to taste 6 white wines, well representing South African grapes, styles and regions. The tasting included 3 out of the 4 most popular white grapes in South Africa (Chenin Blanc, Chardonnay, and Sauvignon Blanc) – the second most planted grape, Colombard, is used primarily in the brandy production. Another interesting fact for you – until 1981, there was no Chardonnay planted in South Africa, which makes it all more impressive (read my notes below). Two of the Chardonnays and Sauvignon Blanc from the tasting were simply stunning, and the rest of the wines were perfectly suitable for the everyday drinking. What is even better is that you don’t need to rely on my notes if you want to discover what South Africa is capable of – Snooth offers that exact set of 6 wines for purchase, at a very reasonable price of $79.99 for the whole set. V: 8, excellent now, but I definitely want to see it evolve. N: complex, vanilla, popcorn, medium intensity. Nose clears up as the wine breathes. Golden delicious and honeysuckle appeared. Delicious nose. P: quite restrained, touch of Granny Smith apples as opposed to the golden delicious. Perfect acidity, vanilla, fresh. V: 8, will evolve. Definitely an interesting wine. V: 7+, interesting wine, by itself and with food. P: crisp, clean, lemon acidity, very restrained, mineral-driven, limestone. Almost astringent. Needs food. South African wines are definitely here, at the world-class level. If you pride yourself as a wine lover, they are all ready for your undivided attention. Today we are going to talk about sweet and delicious wines, but I feel compelled to start with a little rant. What is wrong with you, people? No, I’m not trying to better humankind with this pathetic opening, but nevertheless, I would like to repeat my question – what is wrong with you, people, when you proudly state “hmm, you said sweet? I don’t drink sweet wines! !” (add proud grin and posture to this statement). Sweet or dry, when it comes to wine, there is only one quality worth inquiring about – balance. “Is this wine balanced?” is a perfect question to ask, but sweet, dry, semi-sweet, semi-dry – those are all relative characteristics which often mean different things to different people. Deep inside, we like sweet. We don’t always admit it as our well established societal shaming machine works perfectly, it creates an absolute truth like “sweet = bad”. Sweet is one of the easiest flavors to recognize, and we usually start our acquaintance with taste with sweet, later discovering sour, salty and bitter. Growing up, we learn that “sugar is bad for you” – which is true for anything taken out of moderation – and then we subconsciously extend “sugar = bad” rule to the most of the things we do, or rather, eat. Now, I’m asking you to put these extreme views of sweet aside, at least for the next few minutes you will spend reading this post. I know, you can do it for me. Let’s go, let’s talk about it – yes, sweet wines. Historically, sweet wines had been around for as long as humans known to make wine. Sweet wines are typically easier for our palate to fall in love with, but keep that love going strong might be a challenge, as people change their taste quite often. Today, sweet wines are made everywhere – but in most of the cases, sweet wines are an addition to the winery’s repertoire, to all those white, Rosé and red which winery is generally producing – and not The Wine. Except in few places, it really is The Wine. One such place is located in the world’s capital of red wines – Bordeaux, and yes, it is called Sauternes. Sauternes region is located about 40 miles south of the city of Bordeaux, and predominantly produces sweet wines (there are some notable exceptions like d’Yquem Y, which is a dry wine, but those are truly the exceptions). History of Sauternes goes back to the beginning of 17th century, but it is hard to tell what led to the appearance of the Sauternes wines as we know them. You see, Sauternes wines are made with some special assistance from mother nature. This appearance comes in somewhat of a strange form – a fungus. The climate conditions in Sauternes are favorable for the specific form of mildew to set on the grapes, so the grapes essentially rot on the vine. It is manifested with the grapes starting to shrivel while they are still hanging in the cluster – however, outside of visually unappealing sight (for the rest of us, not for the vintners in Sauternes), that also leads to the shriveled grapes greatly increasing concentration of the sugar, which perfectly lends itself to creating some of the very best sweet wines in the world – yes, the Sauternes. The fungus, which has a scientific name of Botrytis cinerea, is also called a Noble Rot, just to stress that unlike any other rot, which is generally bad, the Noble Rot is good and useful, and thus has such a distinguished name. The legend has it that monks who were the first to produce sweet Sauternes, were keeping information about the rot outside of the public knowledge, as whether you will call it Noble or not, it is not easy to explain to people that wine is delicious because the grapes had time to rot before been made into the wine. Production of Sauternes is labor intense, even today. Not only all the grapes are harvested by hand – they also harvested multiple times. The workers can only pick individual grapes from the vine, those which are ready (read: rotted shriveled enough). Then they have to come back again to pick the new “ready” grapes – and this can repeat 6-7 times. So yes, talk about labor intense process. All this pain with the harvest is well worth it, as it translates into the delicious wines. What is very interesting about Sauternes, which is typically well underappreciated, is that Sauternes are amazingly versatile when it comes to food. You can pair the whole dinner with Sauternes, but while this might be a bit challenging, they definitely beat most of the wines, maybe with the exception of Champagne/Sparkling, as a perfect accompaniment to any appetizers and cheese course. The Foie Gras and Sauternes is a classic combination, but it pairs spot on with any salumi, prosciutto, Jamon or any other cured meat. Salty, spicy, sour, bitter – bring it on, all the flavor profiles will find their match with Sauternes. A few weeks ago we had an opportunity to deep dive into the world of Sauternes with the virtual tasting run on Snooth – if you are interested in following the conversation, you can check out this post on Snooth. To prepare for the discussion, I had a pre-gaming session, pairing our selection of Sauternes with cheeses and Foie Gras, as you can see in the pictures above. I have to honestly say that I liked some wines better than the others, which you will see in the notes – but when it comes to complementing the food, they all performed really well. There are plenty of sources for you to learn the particular details about the Sauternes wines and the region so I will spare you from my regurgitating of the known facts. Just as a quick reference, I can tell you that Sauternes wines predominantly made from Sémillon grapes, with Sauvignon Blanc and Muscadelle playing the supporting roles. Our tasting included wines from 2009, 2014 and 2015 vintages, which are all considered excellent. The holiday season is upon us. While I’m not asking you to pair your Thanksgiving turkey with the Sauternes (albeit it might work very well – and I will actually try it), I definitely suggest you will give Sauternes a chance to brighten up your friends and family get together – that “wine and cheese” fun is generally overrated and underestimated at the same time, as majority of the wines don’t pair that easily with the cheese – but try it with Sauternes, and you might discover a new love in your life. Cheers! Wines of New Zealand need no introduction – for sure to the oenophiles. Winemaking started in New Zealand in the 1850s, but it really flourished in the second half of the 20th century, when jet travel allowed much easier access to the future winemakers to get educated and experienced in Europe. Since the 1990s, New Zealand greatly embraced sustainability and … screw tops. I’m definitely very happy about the first – sustainable farming always leads to the better wines and happier environment. The screw tops – they are fine, I’m not convinced though that they are the best for aging the wines properly. However, I don’t want to convert this post neither into a rant, nor into a debate, so let’s just move on. The story of Villa Maria winery is easily an exemplary story of realizing the “American Dream” – only in this case, it is, of course, have to be called a “New Zealand dream” (I hope such a concept exists). George Fistonich started in 1961, at the age of 21, with one acre of vines in Auckland. In 1962, he harvested the grapes and produced the wines under the name of Villa Maria. That was the beginning of the journey of one man, who had the passion, vision, perseverance and enough obsession to make it. Villa Maria was a one man operation through the 60s, hiring its first staff in the early 70s, and now employing 250 people and exporting their wines to the 50 countries. As a perfect proof of making it, George Fistonich became Sir George Fistonich, receiving the first knighthood in the country for the services to New Zealand’s wine industry. Villa Maria today has vineyards located in Auckland, Gisborne, Hawkes Bay and Marlborough regions. The grapes range from the New Zealand’s staples such as Sauvignon Blanc and Pinot Noir to such an obscure varietals as Arneis and Verdelho. Villa Maria became a cork-free zone in 2001. And I can tell you, they really treat sustainability seriously – the Villa Maria bottles were some of the lightest wine bottles I ever came across, which I’m sure greatly affects the carbon footprint. A week or so ago, I was a part of the big group of winelovers tasting Villa Maria wines together in the virtual tasting organized by Snooth (no worries, the wines were real). Here are my notes from tasting and also, re-tasting of the wines. N: touch of grass and currant, a classic SB, restrained. P: nice, touch of bubbles, touch of sweetness, black currant, nice and round, refreshing. P: excellent balance, acidity, currant and a touch of grass. Nice and pleasant. P: Granny Smith apples smothered in butter, good acidity, excellent midpalate weight, nicely plump, but clean. Nice cleansing acidity on the finish. V: 7, 7+ on the day 3 – showed a lot more fruit on the palate, Oregonian notes of dark power, espresso, mocha, with sweet core of cherries and plums. Have you had any of these wines? What are your thoughts? Cheers! When I got an offer to participate in the Lodi wine virtual tasting on Snooth, my first reaction was “that’s okay. 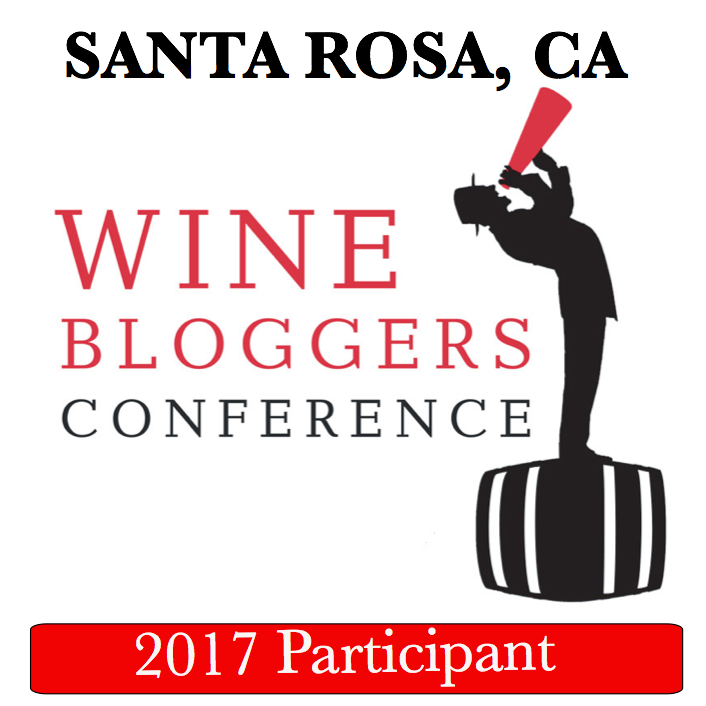 I just was in Lodi just recently for the Wine Bloggers Conference (WBC16), and still perfectly remember it”. Then the second thought came in – “but it is Lodi, remember? Great wines, great people, why not”? When I opened the box with samples, huge smile embellished my face (this post would be perfect for the Monthly Wine Writing Challenge #28 (#MWWC28), as the theme was “Smile” – if only it would be written on time, sigh). Do you smile when you run into a good old friend who you are genuinely happy to see? Yep, that was me at that moment. Looking at the bottles one by one, you can imagine me talking and thinking. Acquiesce. I heard people raving about their wines, but never tried it – great, now I will! LangeTwins – the flow of happy memories – we visited the winery with the group of bloggers and had an incredible time there; so glad to be drinking their wine again. McCay – an immediate image of Mike McCay, pouring his Zinfandel out of the double-magnum during the dinner at the WBC16 – another huge happy smile. So looking forward trying this Grenache. Klinker Brick – had their Zinfandel during speed tasting, but heard a lot about the Syrah – now I can taste it, great! Then the day of the tasting arrived, and for an hour, I was among friends, feeling more like a WBC16 reunion – the fact that we didn’t see each other was not a problem – it was easy to imagine happy and smiley faces, tasting delicious wines, and excitedly talking across each other. Exactly as we did in August back in Lodi. 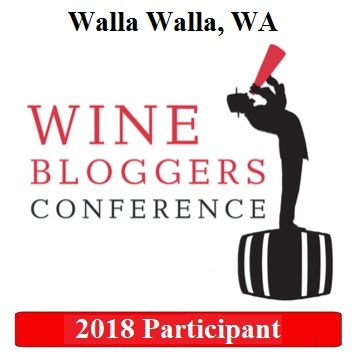 I have to be entirely honest – we had great hosts for this session – Tim Gaiser, Master Sommelier, Stuart Spencer, who represented both Lodi Winegrape Commission and his own winery, St. Amant, and Mike McCay of McCay Cellars – but I was entirely focused on the chat window, so I don’t have much of their conversation to share with you. But – I’m happy share the tasting notes for these delicious Lodi wines. V: 8, easy to drink from the start. The wine kept evolving for the next 5 days – definitely an age worthy wine which will bring you lots of pleasure. P: clean herbal profile first, sweet basil, then layer of fresh, ripe blueberries – clean, well-structured, perfectly balanced. I would like to thank the kind folks at Snooth for arranging this delicious tasting. And for you, my friends – yes, those wines are made in a very small quantities, but if you will make an effort to find them (many might be available directly from the wineries), you will be well rewarded. These are the wines worth seeking. Cheers! Does Grenache, a.k.a. Garnacha, deserves its own celebration? It used to be the third most planted red grape in the world (in the year 2000), and the most planted red grape in Spain; now it is 5th most planted red grape in the world, and second most planted in Spain. In this particular case, size might not matter (how many of you drunk the wines made from Airen, the most planted white grape in the world?) – what important is that Grenache is an essential part of lots of amazing wines, coming from everywhere in the world – France, Spain, California, Washington, Australia, Italy, there is really no limit here. Grenache is capable of amazing solo performances (think Clos Erasmus, Sine Qua None, No Girls), but more often than not, it is a great team player (Chateauneuf-du-Pape, Southern Rhone, Australian GSM and thousands of others). Yes, Grenache is worthy of a celebration. Grenache wines are quite mendable at the hands of the winemaker, giving you a wide range of expressions. What is even more important, unlike Cabernet Sauvignon, even budget level Grenache wines (read: less than $10 a bottle) are very enjoyable, especially when they come from Spain. And don’t forget that under the word “Grenache” there can be three different grapes – Grenache Blanc, Grenache Gris (rare), and Grenache (or Garnacha Tinta). A large group of “winos” assembled last night on Snooth, one of the leading online wine communities, to discuss virtues of Grenache grapes and, of course, to taste some Grenache wines. All the Grenache wines in the tasting came from Spain, two white Grenache Blanc and three of the 100% Grenache reds. Not only the wines were tasty, all of them also represented great value and great QPR, all priced under $14. The discussion was hosted by Master Sommelier Laura Maniec and Master of Wine Christy Canterbury – but to be very honest, the online discussion felt to me more like a wine bloggers conference attendees’ reunion, with lots and lots of familiar “voices” in the chat room, so I had a hard time paying attention to the presentation and was more focused on multiple dialogs taking place at the same time. Either way, it was a great fun, and wines perfectly supported the conversation. P: sweet fruit (restrained, not overly) with surprising structure and good acidity on the finish. Distant touch of earthiness and smoke. I would like to thank kind folks at Snooth for arranging this fun tasting and providing such an excellent selection of the value Grenache wines. How did you celebrate #GrenacheDay? What was your most memorable Grenache wine ever – if you have one of course? Cheers!